Today we’re having “sopa a la minuta” which translates to “soup in minutes” (I think). I love soups a lot. (OK, probably not as much as Jodi who is a “soup expert“.) I prefer scalding hot soups to cold soups as I love how the hot liquid reminds me that I’m alive and slurping soup. While in Peru, I had the chance to have soups. I featured seafood soups a few months ago. Most of the soups I had were “sopa a la minuta” which I think means soup that is so easy to make, it only takes minutes. 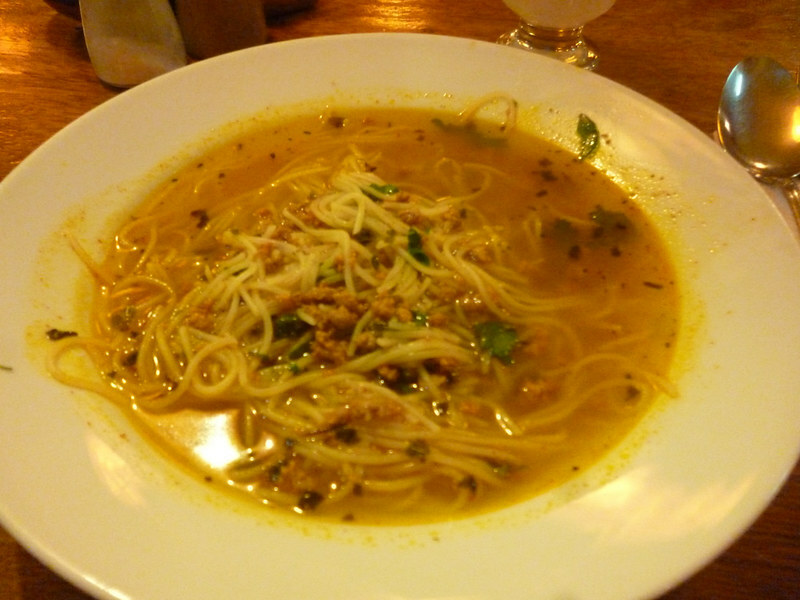 Sopa a la minuta feels like Chinese ABC soup but with noodles. It just confuses me as the normal “soups” I have do not have noodle in them or else they would be called noodle soup. This dish is usually found as part of a tourist set menu, sort of an appetizer before your main dish. Not quite sure where I had this sopa a la minuta. 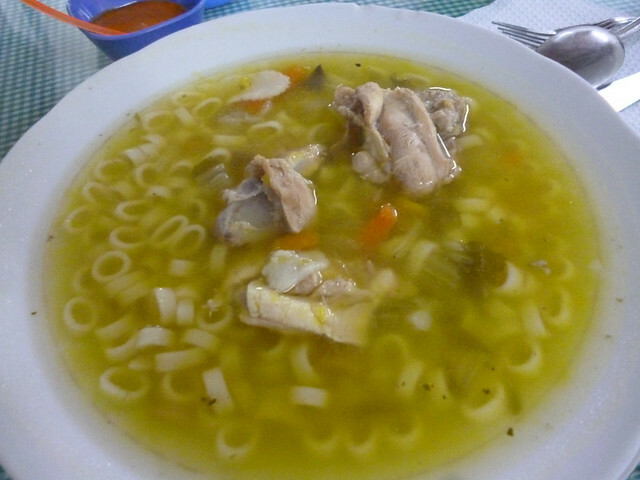 Sopa a la minuta served at a rustic roast chicken shop. 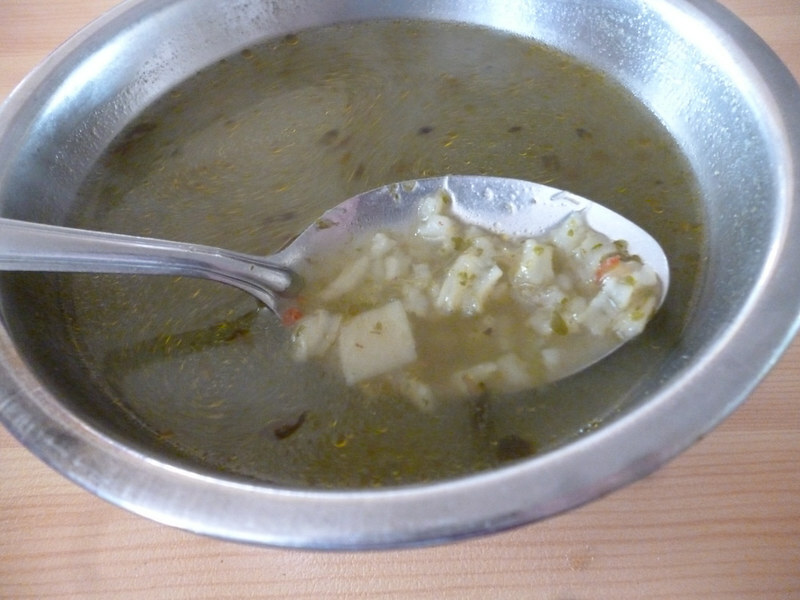 Sopa a la minuta from a tourist restaurant. There is more pasta than soup. Sheesh. 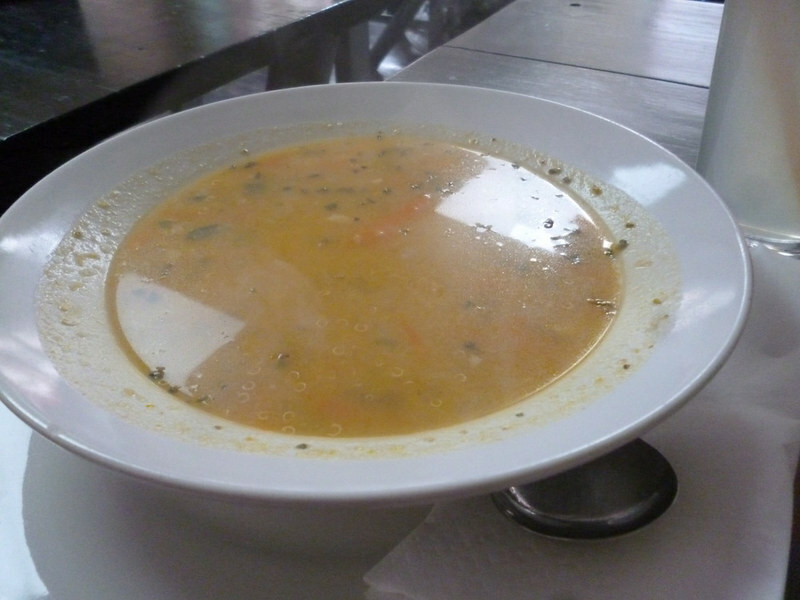 A hearty sopa a la minuta in Nasca. Sopa a la minuta from a tourist restaurant in Cusco. 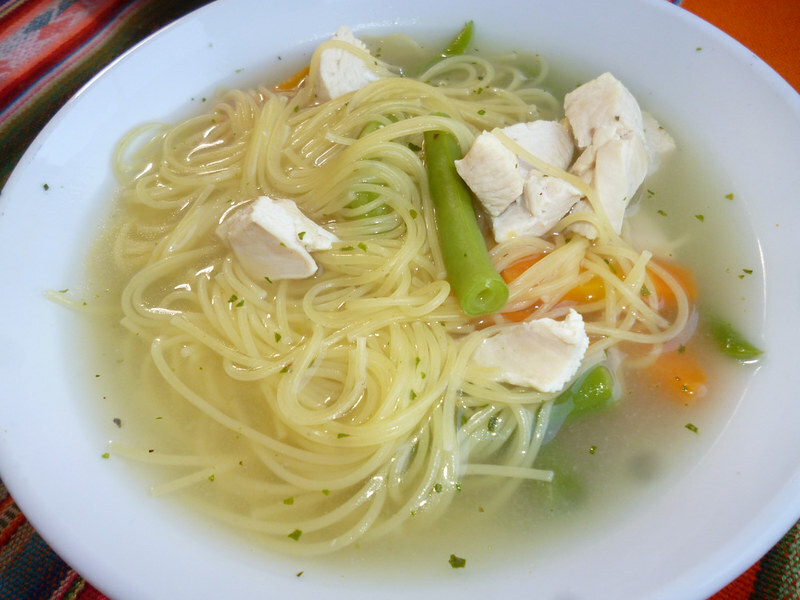 Have you tried sopa a la minuta? Did you like it?